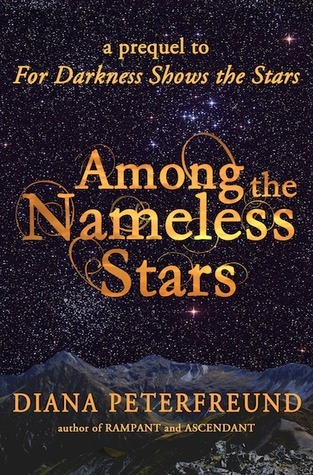 A novella set before For Darkness Shows the Stars, Among the Nameless Stars follows Kai after he runs away from the North estate. It was great to spend some time in his head, especially since he is so cold towards Elliot in the first part of For Darkness Shows the Stars. This is the Kai Elliot fell in love with, the sweet but frustrated boy that yearns for freedom. At first I wanted to give this novella a lower rating, but I found myself thinking of Kai a day after finishing this, which deserves a higher rating on it’s own. Recommended for fans of For Darkness Shows the Stars. This novella is better read after the novel, so you fully grasp the world and what’s going on. Another wonderful short story by Diana Peterfreund. 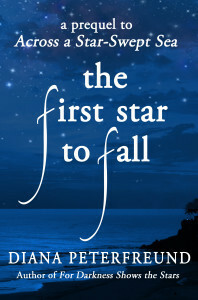 The First Star to Fall is the prequel to her upcoming book, Across a Star-Swept Sea. It features the heroine Persis, and introduces us to the part of the world she lives. This short is fulled with promise for the full-length book. It seems that Across a Star-Swept Sea will be more science-fiction than romance, and I like everything I’ve seen so far.